Yesterday Apple announced new iPads and today they release the latest iteration of the iMac. There are updates for both the 21.5” and 27” iMacs with options for i9 6-Core processors and Radeon Pro 580X Series graphics cards with 8GB of GDDR5 memory driving a 5K retina screen on the 27” model. Although there is no re-design, it’s the same screen options et, what Apple has done is update the processors and graphics card options. The 21.5-inch all-in-one starts with a base model having a dual-core seventh-generation Core i5 processor, and Intel Iris Plus Graphics 640 graphics card, with the top end model having an eighth-generation six-core Intel Core i5 CPU with a 4GB AMD Radeon Pro Vega 20 graphics card. In the build-to-order options, it is even possible to upgrade the top of the range iMac 21.5” model to have an eighth-generation 6-core i7 processor. The 27-inch iMac starts with a 3.0GHz 6-core 8th-generation Intel Core i5 processor with standard upgrade options that include a ninth-generation 8-core i9 upgrade option, which is a first for the iMac model. Apple have also upped the graphics cards in the 27” models with the top of the range model having a Radeon Pro 580X graphics card that has 8GB of GDDR5 memory on-board, or you can choose to go for a 8GB Radeon Pro Vega 48 GPU with 8GB of video RAM in the build-to-order options, which Apple says is capable of up to 7.3 teraflops of graphics performance. Apple haven’t used its T2 security chip in the 2019 iMacs. The T2 chip is used in Macs ranging from the iMac Pro to the MacBook Pro and Mac Mini for a more secure Apple-controlled boot process, enhanced storage encryption, and improved processing for the FaceTime HD camera. However some users have experienced unexpected hiccups, which have been attributed to the T2 chip, in some cases apparently requiring time-consuming physical repairs or replacements. We understand that this is because the iMacs continue to offer Apple Fusion drives and because of the spinning rust part is probably the reason why the iMacs have not adopted the T2 security chip. Apparently the T2 chip can only interface with solid state storage, meaning the Fusion Drive is incompatible unless Apple chose to develop driver support for their Fusion drives, which are on the way out. The top-end 21.5-inch configuration starts at $1,499 (£1,207 plus VAT in the UK), while the 27-inch iMac starts at $1,799 (£1,457 plus VAT in the UK). The top-end 27-inch iMac comes in at $2,299 (£1,874 plus VAT in the UK), plus any upgrades you wish to choose. We have not seen one in the flesh but looking at the price, even for a top of the range model with i9 6-core processor, 32GB of RAM, 512GB SSD and Radeon Pro 580X 8GB graphics card will cost £2879 including UK VAT. Compare this to a Mac Mini 2018 with 6‑core 8th‑generation Intel Core i7 processor, 32GB of RAM, 512GB SSD and Intel UHD Graphics 630 graphics card like the one we bought for testing with DAWs, the Mac Mini 2018 costs £1969 including UK VAT. So for an extra £960 including UK VAT you get i9 processors, a 27” 5K retina screen and a much better graphics card. 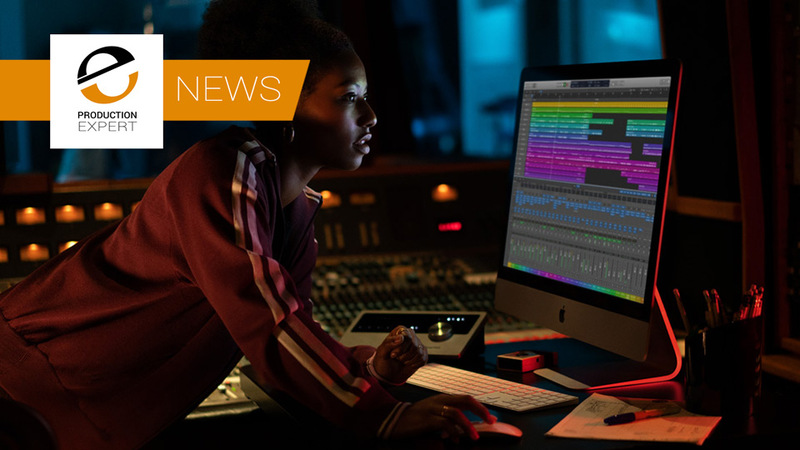 For anyone looking for an all-in-one Mac solution to use as a DAW computer then we think that the new iMac 2019 has a lot going for it.